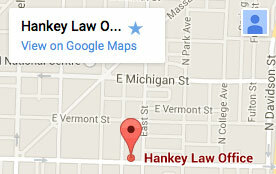 Hankey Law Office > FAQS > What disorders qualify for SSI or SSD? What Disorders Qualify for SSI or SSD? Any physical or mental disorder or injury that prevents you from earning an adequate salary may qualify you for SSI or SSD. Some examples are carpal tunnel syndrome, head injuries, bipolar disorder, chronic fatigue syndrome, and Crohn’s disease. There are many other examples of long-term disability that may qualify.